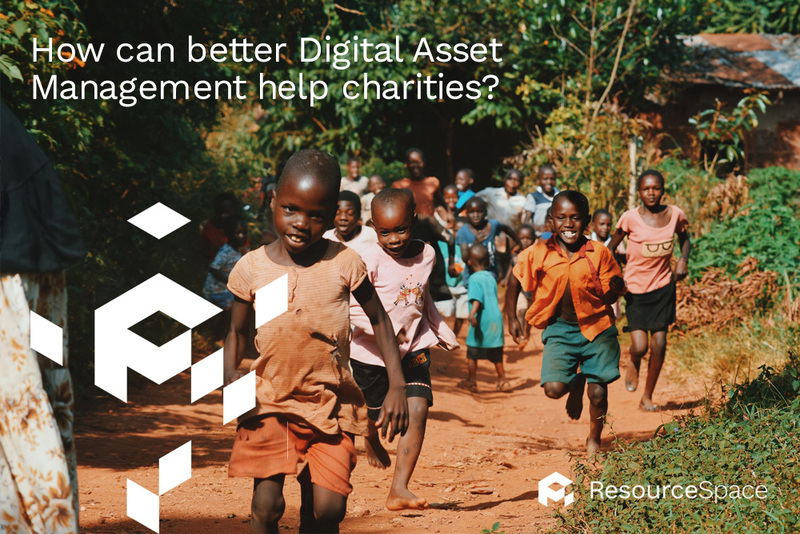 How can better Digital Asset Management help charities? As a charity - whether you're a regional organisation or an internationally recognised cause - every marketing campaign you launch truly counts. However, putting those communications together is often easier said than done. One of the great things about charitable work is that paid workers and volunteer staff are brought together, to both fundraise and enable the vital support services. Often these teams create valuable digital assets - such as photographs, videos and testimonials - that can be used to create powerful marketing collateral. But it's easy for these to become lost in the system, and never fully utilised. Investing in Digital Asset Management (DAM) software can completely revolutionise the way charities run and market their organisation - and finding the right solution is critical to success. Digital Asset Management is a centralised platform for organising, storing and sharing rich media assets such as photos, videos and other forms of documentation. Clearly, there are some tangible reasons to introduce a DAM solution into a charity, but there are also opportunities for organisations to make an expensive mistake, if they fail to pick the right solution for their business. What should charities look for when choosing DAM software? Firstly, many DAM software providers offer a generic, out-of-the-box solution to any type of business, but the needs of charities are unique. Therefore, ideally, organisations should look for a partner with a proven track record in their sector. Secondly, as a not-for-profit, cost-effectiveness is key. The right software will offer charities the functions to run their content and campaigns more efficiently, at the same time as not breaking the bank. Often, one good quality DAM solution can replace multiple systems already in place, and scaling back on software has a positive cost-saving benefit. Thirdly, any DAM software for charities should be cloud-based, meaning documents are stored remotely on the web rather than on a local server. This makes it easy for staff to upload or access files from anywhere in the world - including out in the field. For many charities, cloud access ensures a vital communication network between the front-line and marketing communications teams, and those users need to trust their connection is secure. Finally, make sure the solution can be set up to control how content is ordered and accessed. A good category tagging system makes sure that assets are saved in a logical manner, and can be found quickly, while customised user settings enable certain members to receive access to the assets they need for their job - and nothing else. Some leading solutions even feature management review and approval tools, to make sure that everything uploaded to the system has been verified. At ResourceSpace, our software was built for use by Oxfam, and is now helping many more leading not-for-profit organisations to streamline and centralise their digital assets. Save the Children, War Child, Action Aid and Friends of the Earth are just some of the charities using ResourceSpace to unite their workforce, and ensure their whole organisation is operating with a shared vision and voice. To see how DAM software can change your charity for the good, take a free ResourceSpace trial. You can also visit our charities page to find out more about ResourceSpace's work within the not-for-profit sector.